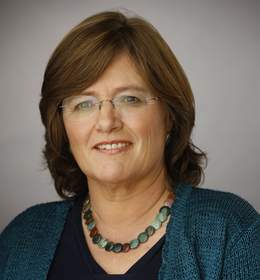 LOS ANGELES, CA--(Marketwired - Dec 17, 2015) - Dr. Lucy Jones, Science Advisor for Risk Reduction at the U.S. Geological Survey, is the keynote speaker at UCLA Extension's 30th Anniversary Land Use Law & Planning Conference on Friday, January 22, 2016 at the Millennium Biltmore Hotel. Dr. Jones is one of the most recognized experts on earthquake risks in Southern California and has authored over 100 papers on research seismology with a primary interest in earthquake statistics and integrated disaster scenarios. "We are extremely honored to have Dr. Jones join us at the conference in this milestone year," said Susan Hori, Conference Co-Chair. "She is extremely well known throughout the country and her seismology research and insights are important to professionals in real estate development, environmental affairs and planning, as well as public officials." The Land Use Law & Planning Conference is regarded as a leading source of information on California land use legislation, case law, and the emerging issues that frame land use and development practices. Its unique cross-disciplinary approach explores the full range of perspectives drawn from the land use planning, legal, development, and environmental communities -- and demonstrates how these factors influence day-to-day work in these sectors. Everything Old is New Again: Or, a 30-Year Prospective Look at Land Use Law in California: Six land use planners and attorneys discuss the evolution of the land use and planning landscape and what's ahead in the next 30 years. CEQA 2015: Discussion about the Supreme Court's decisions in the Newhall Ranch case, Berkeley Hillside Preservation, and Cal State University's obligation to mitigate impacts of campus expansion in City of San Diego v. Board of Trustees of California State University, as well as the 2015 Court of Appeals opinions and more. Quick Hits: Updates on a variety of topics, including tribal cultural resources, CEQA Reform, Clean Water Act and Federal Update 2016. Planning, Zoning and Development Law: Annual update on development affecting land use planning including "general plan consistency," cell tower regulation, medical marijuana and parking standards. Affordable Housing: The impact of the California Supreme Court decision California Building Industry Assn v. the City of San Jose and the struggle to fund and build affordable housing. The conference is essential for attorneys, planners, environmentalists, and developers who need to know how land use law and planning is changing and affecting their interests. Conference chairs and panel moderators are Susan K. Hori, Partner, Manatt, Phelps & Phillips, LLP; Steven A. Preston, FAICP, City Manager of the City of San Gabriel; and Margaret M. Sohagi, President, The Sohagi Law Group, PLC. Helene Smookler, Of Counsel, The Sohagi Law Group, PLC, serves as a conference advisor. The all-day conference is hosted by the UCLA Extension Public Policy Program and is approved for 7 hours of CM (AICP) and MCLE (State Bar of California) credit. The conference fee is $495. Dr. Jones has been a seismologist with the U.S. Geological Survey (USGS) and a Visiting Research Associate at the Seismological Laboratory of Caltech since 1983. She currently serves as Science Advisor for Risk Reduction in the Natural Hazards Mission Area of the U.S. Geological Survey, leading long-term science planning for natural hazards research, and the SAFRR Project: Science Application For Risk Reduction to apply USGS science to reduce risk in communities across the nation. She leads the partnership between the USGS and the City of Los Angeles to create solutions to four of the most significant seismic vulnerabilities in the city. To enroll, visit uclaextension.edu/landuse or contact the UCLA Extension Public Policy Program at (310) 825-7093 or amorris@uclaextension.edu. UCLA Extension is the continuing education division of the University of California (UCLA). We offer courses evenings and weekends in Westwood and Downtown L.A., plus online classes available around the globe. Courses range from business, arts, engineering, and IT to entertainment studies, public policy, public health, the humanities and more. Explore UCLA Extension at uclaextension.edu. Dr. Lucy Jones is the keynote speaker at the UCLA Extension Land Use Law & Planning Conference on January 22, 2016. She is a seismologist with the US Geological Survey and a Visiting Research Associate at the Seismological Laboratory of Caltech.